Honeymoon cabins, chalets and beautiful Mountain vacation rentals await you at Fireside Chalet & Cabin Rentals. Located in the majestic Great Smoky Mountains, we offer overnight accommodations. 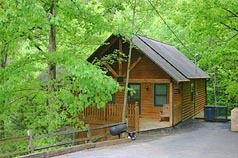 Our honeymoon cabins are fully furnished and are convenient to Dollywood, Dolly's Splash Country, hiking trails, outlet shopping malls, Patriot Park, and great restaurants.